Maruti Gypsy is manufactured in India by Maruti Suzuki. Maruti cars in India were formerly known as Maruti Udyog Limited. Maruti Suzuki India Limited has come to be synonymous with India, like none other. It also went on to become the first company in India to sell more than a million cars. The Indian Army has decided to phase out Maruti Gypsy from its inventory with Mahindra Scorpio and Tata Safari in the race to replace the vehicle under a project expected to cost the force more than Rs 3,000 crore. Next week, trial runs of military versions of Mahindra Scorpio and Tata Safari wil be held at Jodhpur and in the winter, trials will be held in Sikkim. One of the main reasons behind the Indian Army’s plans to replace Maruti Gypsy with Mahindra Scorpio and Tata Safari is the rising cost of petrol. Both the new vehicles under consideration run on diesel and are therefore preferred. The Maruti Gypsy features a bare basic 4-wheel drive vehicle meant for tackling rough terrains. Maximum sale figures for the Gypsy were contributed by law enforcement agencies and the country’s armed forces as the petrol powered Gypsy with its light and agile nature was a practical option for the Indian Army to use on rough terrain. The high ground clearance, side steps and muscular wheel arches add sporty character to these Maruti cars. The Maruti Suzuki Gypsy, a dated but highly capable SUV, known as the “mountain goat” in many off-roading circles, may soon be staring down the barrel. 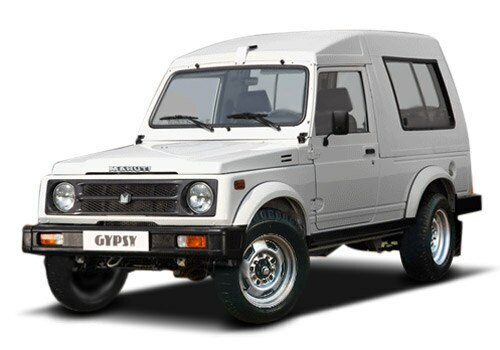 The styling of Maruti Gypsy takes us almost three decades back. Since its launch, the car has received only minor exterior changes and is surviving with its original design. The new black front grille sits below its long bonnet and features circular headlights on both sides. The up-raised bonnet with sharp lines adds aggression to the front look of this car. It’s a three door SUV which looks sensible with a hard top. The plastic material used inside looks very cheap and feels quite hard to touch. Six people can fit into the Gypsy. The vertically aligned rear benches are not comfortable as they offer poor under thigh and back support. The front seats are better, though, but they are not very comfortable either. The Maruti Gypsy in India is very affordably priced at Rs 5.51 lakhs to Rs.6.1 lakhs. For more updates or information on the Maruti Gypsy or along with other latest, upcoming and most popular cars, log on to www.cardekho.com.